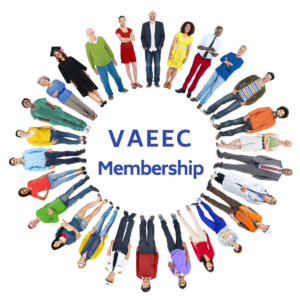 Silverline Communications– our VAEEC August Featured Member of the Month– Founded in 2009, is a decade old full-service marketing, communications, and communications agency. Based in Tysons Corner, the team offers expertise in cleantech and emerging technologies such as cybersecurity. Silverline grew from founder Laura Taylor’s passion for helping businesses tell their unique stories in engaging and impactful ways, with an emphasis on their contributions to their industry and the world. While based in Northern Virginia, Silverline has a national footprint, representing for-profit and non-profit clients including high-growth start-ups, Fortune 500s, and influential industry trade associations and NGOs. What makes Silverline unique, among other things, is our holistic approach to developing results-driven campaigns and programs customized to align with business and organizational goals. We don’t just tell a client’s story in a vacuum; we leverage our network to engage stakeholders by understanding the broader industry context and appealing to specific audiences. In short, we make brands matter. Through Silverline’s work in energy efficiency alongside manufacturing leaders to global NGOs, we have been proud stewards of the industry. Our work began with the International Code Council nearly a decade ago when they first introduced the International Green Construction Code and then represented the Alliance to Save Energy. A federal block grant offered us the opportunity to manage both residential and business-related countywide challenges in high-growth Loudoun County. This effort focused on engaging residents and businesses to be more efficient with efforts promoting recycling, energy consumption reduction strategies and renewable energy planning. As we continue to grow and expand, Silverline now represents manufacturers ranging from HVAC to lighting. Our team develops targeted stakeholder campaigns that encourage widespread use of our clients’ products in residential and commercial settings. Never satisfied with the status quo, Silverline continues to seek new challenges and develop emerging markets expertise. Building on the successes of its cleantech and energy efficiency expertise, the company has taken on new challenges in the ever-evolving cleantech sector and cybersecurity. 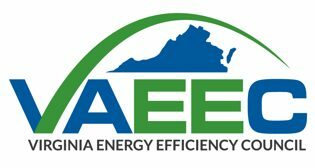 Silverline’s membership in VAEEC is an exciting opportunity to work within a robust community that wants to grow energy efficiency visibility for the Commonwealth of Virginia. For more information about Silverline Communications, contact Agustín Cruz, Director at cruz@teamsilverline.com or 202.765.2802.